With 617 exhibitors from 37 countries, more than 15,000 participants from 93 countries and a space of some 40,000 square meters, ceramitec 2015, which took place on the exhibition grounds of Messe München from October 20 to 23, was more successful than it had been in a long time. 617 exhibitors from 37 countries displayed their products and solutions in four exhibition halls on the grounds of Messe München. Among the international exhibitors, Italy had the biggest showing, followed by France, Spain, China, Greece, Great Britain, Austria, Turkey and the Czech Republic. Besides Germany, the “Top Five” countries of origin of the visitors were Italy, Turkey, France, Austria and Spain. The five countries showing the strongest growth in visitors are Turkey, Portugal, Spain, China and Italy. This assessment has been confirmed to us in a survey conducted by tns infratest. 93 percent of the exhibiting companies praised the quality of the participants and their international mix, and even 96 percent stated that they would take part again in the next ceramitec. The participants of ceramitec were similarly positive about the event. 94 percent rated ceramitec as “good” to “excellent”. In particular, they praised the breadth and depth of the range on show (90 percent), the international mix of the exhibitors (92 percent) and the presence of the market leaders (92 percent). The Supporting Program equally met with an excellent response. Some 4,000 visitors took part in the 65 lectures given there. There were intense discussions, especially on the topics of digitalization, Industry 4.0 and powder metallurgy. After a long absence from the trade show floor, Iran’s appearance at ceramitec 2015 had been eagerly anticipated. The Iran Day, which was organized for the first time, received extraordinarily good ratings from the visitors and gave the trade audience the chance to find interesting points of contact with Iran as a tradition-steeped ceramics country. In turn, almost 200 visitors from Iran took advantage of the opportunity to find out about innovations in the ceramics industry at ceramitec. 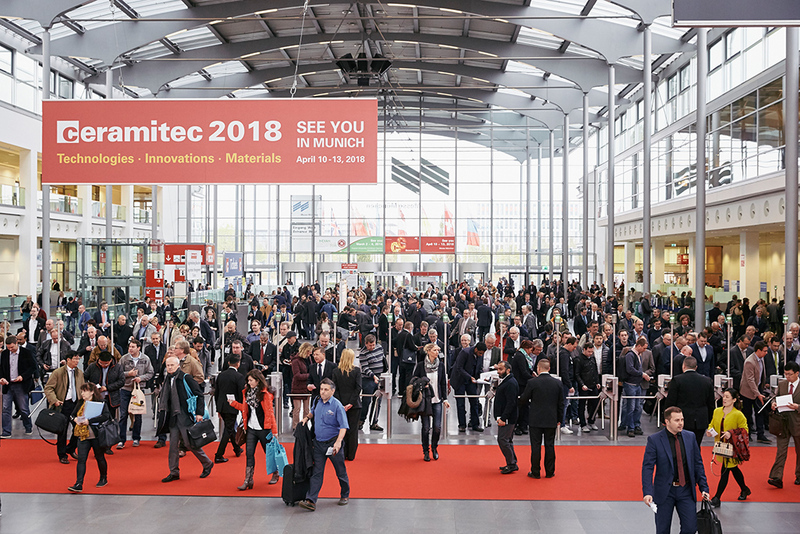 The next ceramitec takes place from April 10–13, 2018.